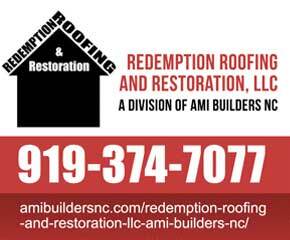 AMI BUILDERS NC is an American owned and operated company. We are proud to install Made in the USA insulation and roofing products – USA INSULATION INSTALLED – BLOWN, RADIANT BARRIER AND SPRAY FOAM. AMI Builders NC a spray foam insulation company offers prime quality residential insulation services for homes within the Raleigh, Durham, Town of Cary, North Raleigh, Chapel Hill, Garner, Holly Springs, Wendell, and geographical areas and areas close by. We offer injection foam wall insulation, blown insulation and our air waterproofing service effectively keep the warmth and cold outside. Increase the comfort and energy potency of your home. Call us today to learn how better and more state of the art home insulation can help you save on your homes utility bills, year in and year out ! We also offer: Residential Roofing Services, Window Replacement, Gutter Replacement, Roof Repair, and Free Roofing Quotes and Estimates. Have a Home Improvement insurance claim ? Such as a Roof penetration, Hail Damage, Roof Tree Removal, Fire, Etc. Give us a call Now We can Help. We work with your insurance company adjuster to insure everything is covered and the work is done to industry standards. Attic Insulation Series: Building experts will tell you that one of the biggest sources of air leakage is your attic. Air escaping your home through the attic can lead to higher than average heating & cooling bills and can damage your roof in the winter. A properly insulated attic can save you from 10% to 50% on your heating and cooling bills. Icynene spray foam insulation will help to make the difference. Blown Insulation Installation for Raleigh, Durham, TriangleUSA INSULATION INSTALLED – BLOWN, RADIANT BARRIER AND SPRAY FOAM.